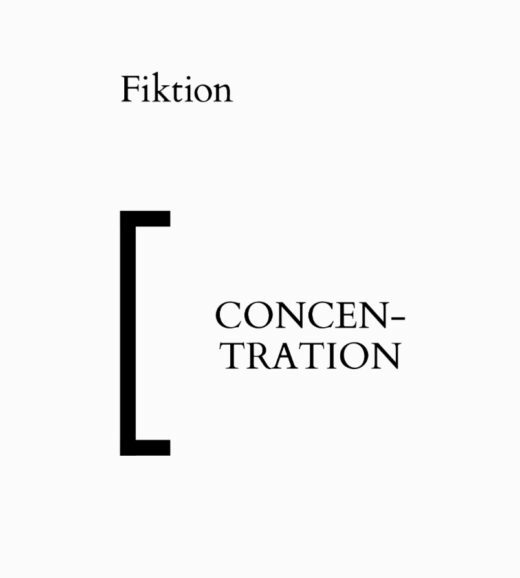 In this anthology, edited by Fiktion’s cofounder Ingo Niermann, nineteen writers and researchers address a fiercely contested commodity in digital society: concentration. Ingeborg Harms, Quinn Latimer, Arthur Jacobs, and Raoul Schrott write about the circumstances under which a text or activity can completely draw us into its spell, Dirk Baecker and Amy Patton about a shifting concentration, Jenna Sutela and Elvia Wilk about one that carries us into the spherical, Charis Conn about concentration violently induced; Nina Bußmann writes about the uncertainty as to whether she is currently concentrating or distracting herself; Sophie Jung, Emily Segal, and Alexander Tarakhovsky make attention deficit disorder their subject; Kenneth Goldsmith argues that the artistic and literary avantgarde stem precisely from distraction; Jacob Wren wonders if a concentration that omits all else is not the exact reason why our world is in such a terrible state; Johannes Thumfart looks at the relationship between concentration of the mind and on the digital market; Boris Groys observes a defictionalization of literature through the Internet, while Ronny Vuine and Ingo Niermann make speculative – i.e. decidedly fictive – literature the ongoing or recurring dominant medium of social change. The German contributions have been translated into English by Nathaniel McBride and Amy Patton.